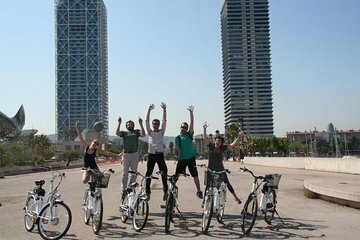 With its diverse neighborhoods, narrow streets, and extensive cycle paths, there’s no better way to discover Barcelona than on a bike tour. You won’t have to worry about planning a route as your guide will lead the way. See many of Barcelona’s top sites as well as its hidden secrets. You’ll pass the Gothic Quarter, Sagrada Familia, Raval, and more. A bike tour will cover more ground than a walking tour, and you’ll enjoy many stops along the way.